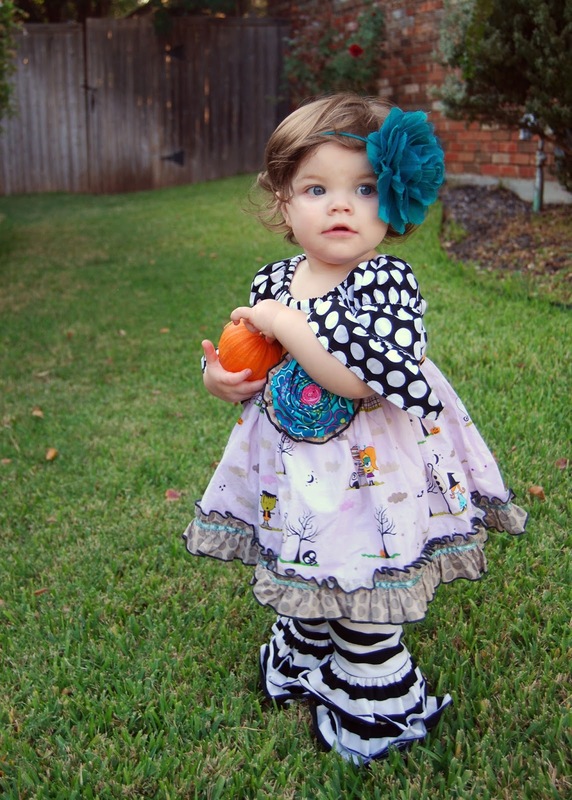 Momfessionals: Favorite Things Party and a Weekend Wrap-Up! 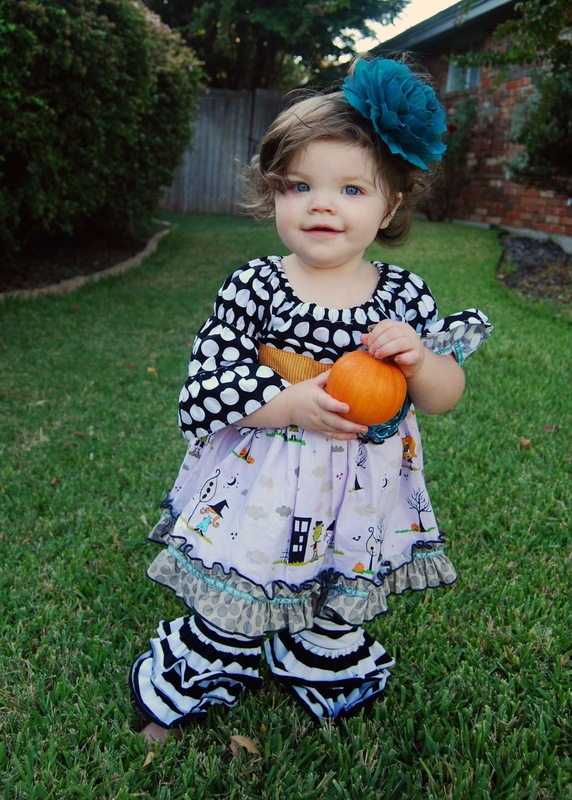 Favorite Things Party and a Weekend Wrap-Up! 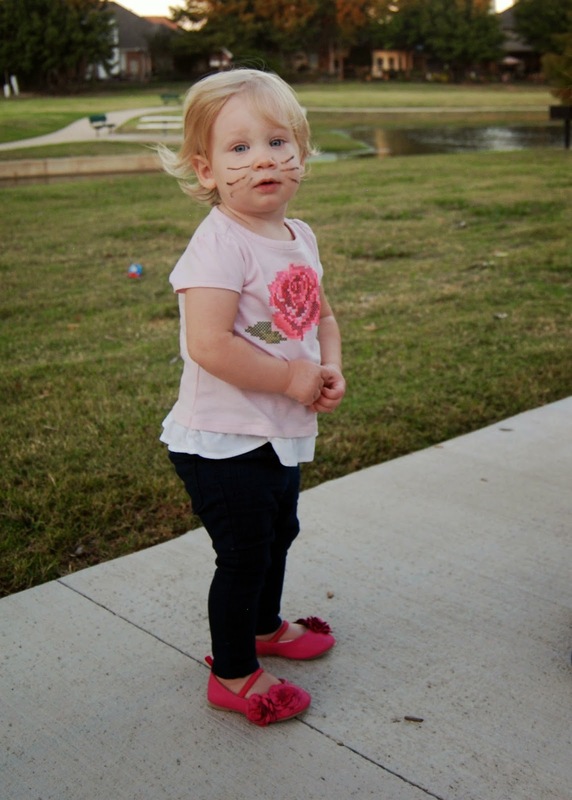 Today is a total two-fer :) Favorite things party AND a weekend recap. BAM! This polish is sparkly and shimmery without being "too much". The color is fun for Fall and PERFECT for Halloween week. 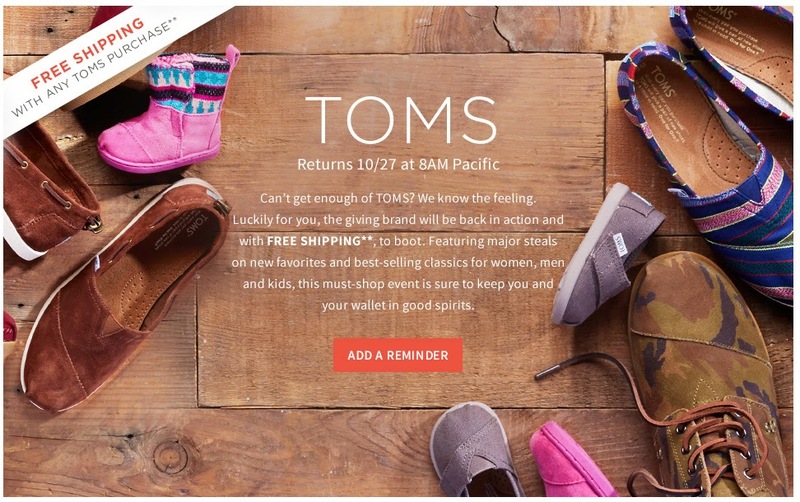 Toms are another one of my favorites things and they're back on HauteLook today!!! Now on to the recap! Friday morning Dave and the littles brought me a tea and Dave snapped this pic of G on their way out. Only 10 short years until she has her own middle school locker. After school Luke and I ran by Target. He spent a SOLID 20 minutes looking through the toy aisles and taking pics of things he wanted to add to his Christmas list. Friday night my mom stopped by and we were marveling at how long GG's hair looks when it's wet. This time last year she was pretty much bald! It makes me wonder how long it's going to be this time next year! Saturday morning Luke had an 8 am soccer game and I had a volunteer shift at Pumpkinville, so the littles and I grabbed donuts (and caffeine for mama!) and headed to run the register. And, much to everyone's relief, they got to do the hay ride!!! The rest of Saturday we spent playing with kinetic sand, putting away laundry and just hanging out. Saturday night Luke fell asleep in our bed and when I laid down next to him I immediately had a flashback to the first morning we had him at home after he was born. SIGH. Shay and I have taught three-year old Sunday school together for years and years. When we walked into the room yesterday he was sitting at a table full of little girls.... and loving it. It's fun to see him playing and interacting with other kids... this boy is going to ROCK Pre-K next school year! 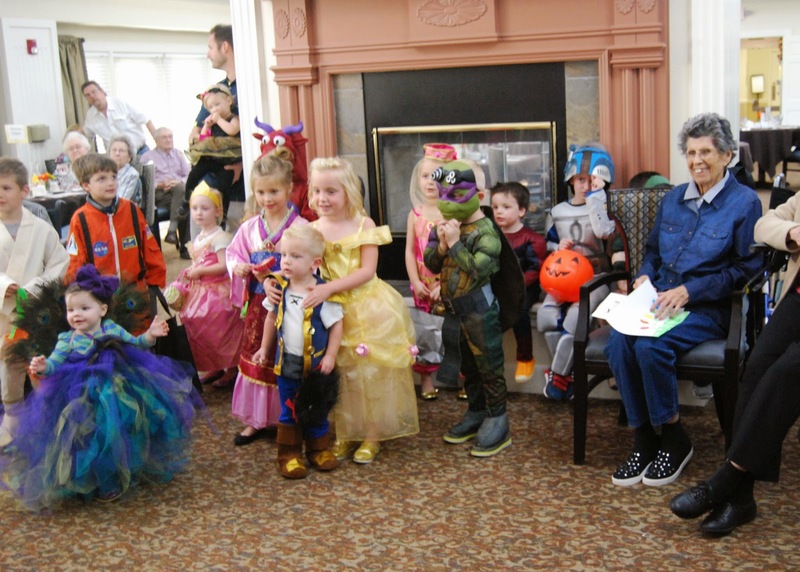 Later in the afternoon we got the kids in their costumes to meet some friends from our Sunday School class at a local nursing home for a "costume parade". 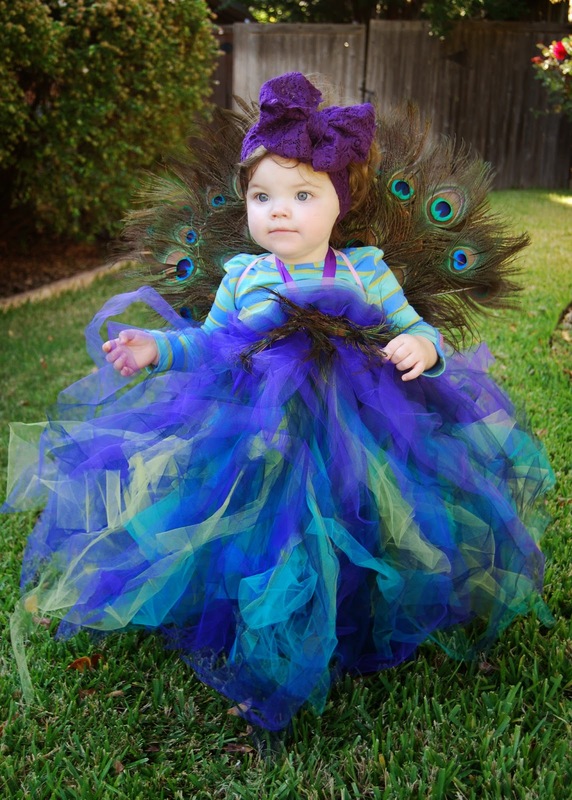 GG was looking FABULOUS in her peacock costume! I found the costume at a consignment store for under $10. RIDICULOUS!!! I think it's a little big for her, and I was going to put it away for next year, but it was warm today and I didn't want to put her back into the fleece owl costume so we made it work. 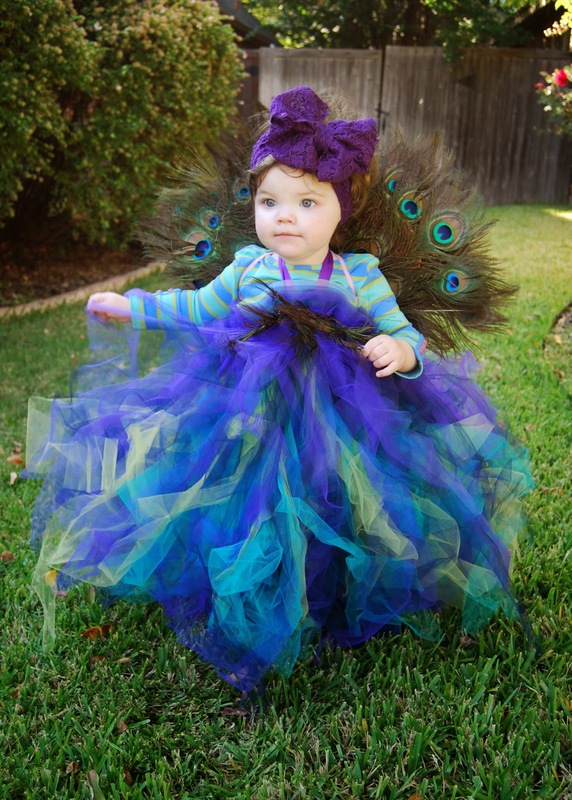 Believe it or not she never once messed with the feathers or the tulle! 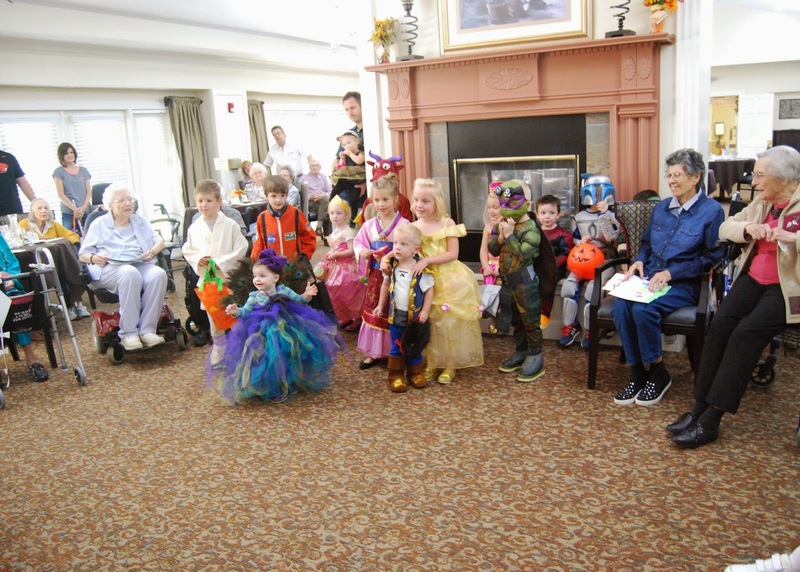 We took our kids to this assisted living center in the Summer and this time we invited friends to come along. The residents LOVE seeing our kids and it really took little to no work on our parts. My kids are NOT shy in the least, and this kind of service opportunity really suits them well. They love to hug on and talk with the residents. After the assisted living center several of us headed to dinner where the kids were pretty much nutso and the grown ups enjoyed some yummy Mexican food. Win Win. Speaking of that cute little kitty, TODAY IS THE VERY LAST DAY to order a shirt and support her sweet mama!!! 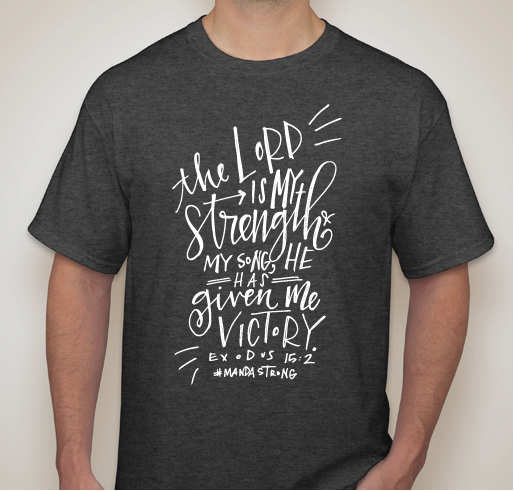 They're only $15 and 100% of the proceeds go STRAIGHT to Manda and her family. I hope y'all have a super fun and festive week planned!!! We have plans for dinner with friends, pumpkin carving, Jack-O-Lantern pizza and some other surprises up our sleeves and we can't wait! 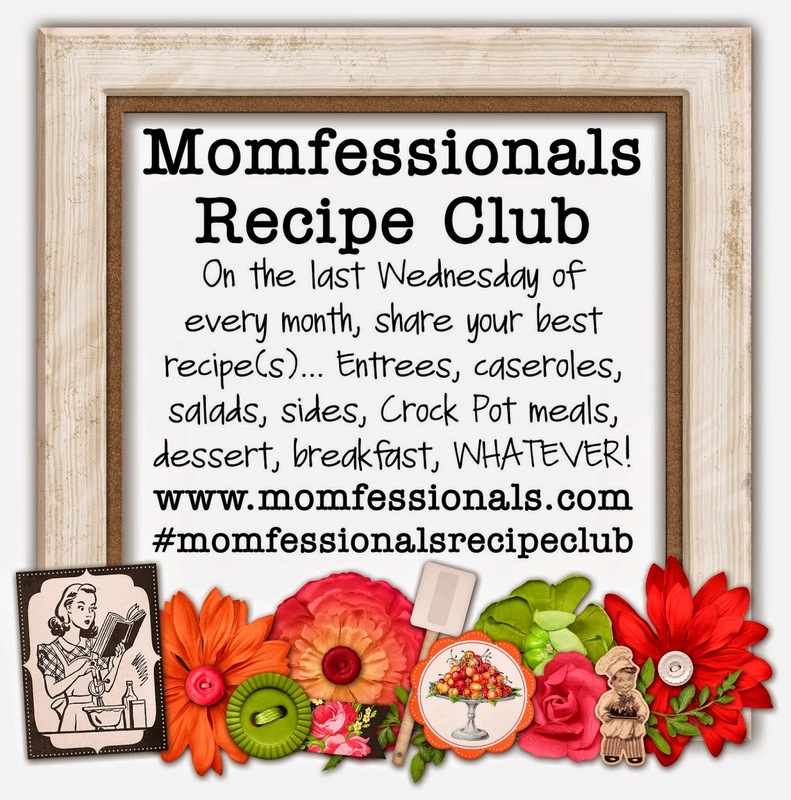 PS - Don't forget that this Wednesday is Recipe Club! Get your best Fall recipes ready to share! Cute blog!! I will come back again :) I just did my first link up ever and I about passed out when I saw you posted Opi Nail Polish too...thought I was gonna be out an item;-) But I gained a new one to try instead. Hooray! PS..Felicity's Mom here...pretty sure you were teaching in her little class last week. And your kids are adorable!! Yay! So glad you found my blog and linked up! Thanks!!! Seriously GG is adorable. The girl PLAYS to the camera. You are in such trouble mama! Tell me about it! Sass and a half! What a great weekend!! And, I love that nail polish!! Listen, I love, love, love, love when my weekends involve the McAnally family...and I love it even more when my Mondays do too :). Can't wait to see you guys tonight too! And PS: that polish totally deserved a second mention :). I love that shot of your little girl in the sink! I always loved photos of "the back of their head" of my kids when they were little. I don't know why except that I just wanted to remember the sweetness of that shot. And they change so quickly! 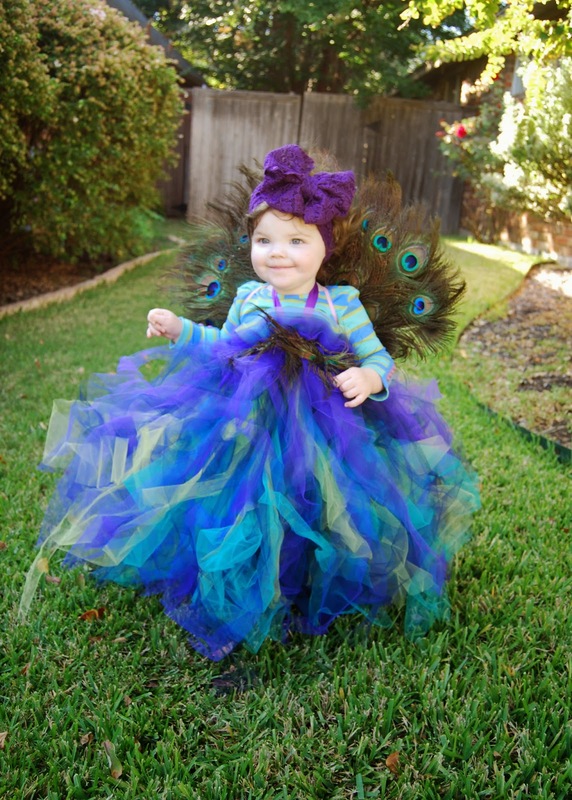 The peacock costume!!! It's amazing! I love the picture of Griffin standing in front of all the other kids. She knew she looked fabulous! It really is a shame that she's so shy ;) hahaha Homegirl LOVES a camera! 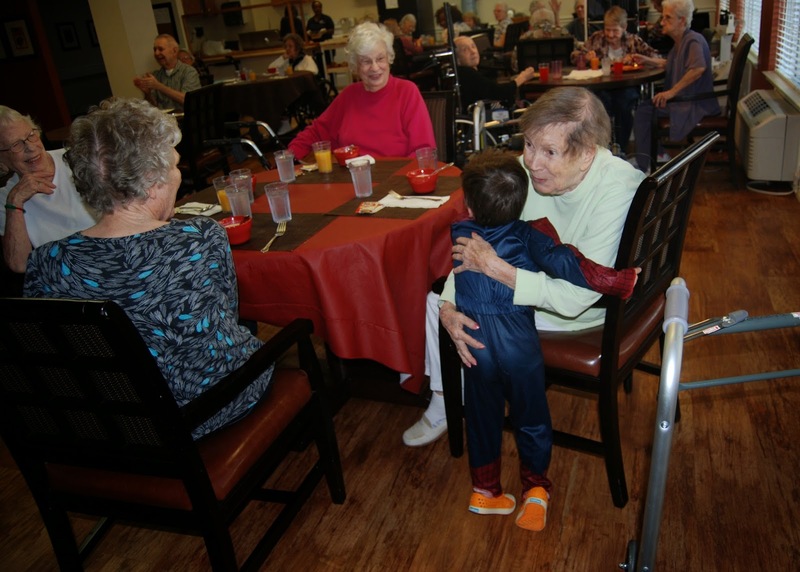 I love that you took your kiddos to the nursing facility for a service project! I bet the residents are still talking about all those cute kiddos! 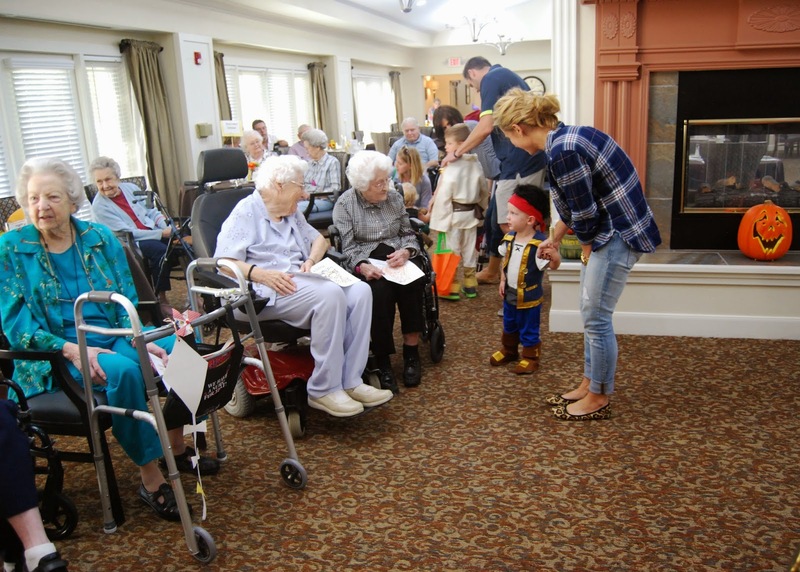 Such a sweet idea to take your crew to the nursing home. 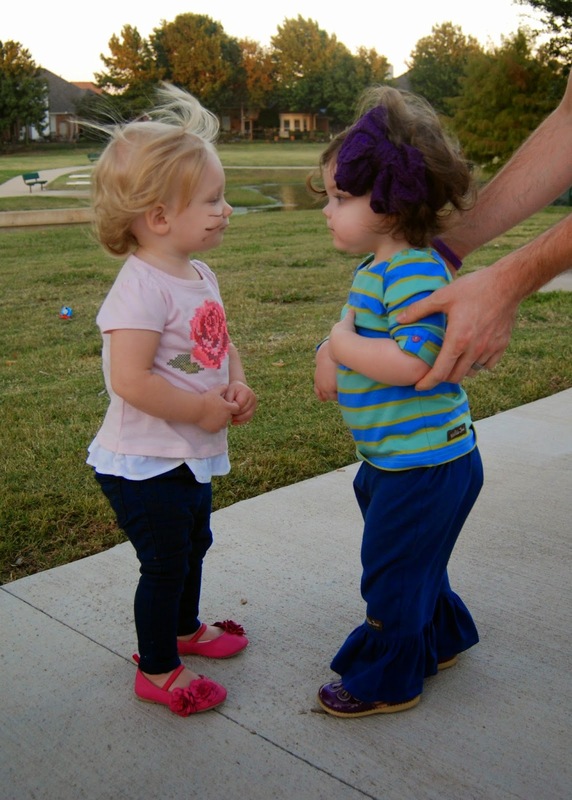 I just lost both of my grands last year, but I will always have such precious memories of them loving on my kids. 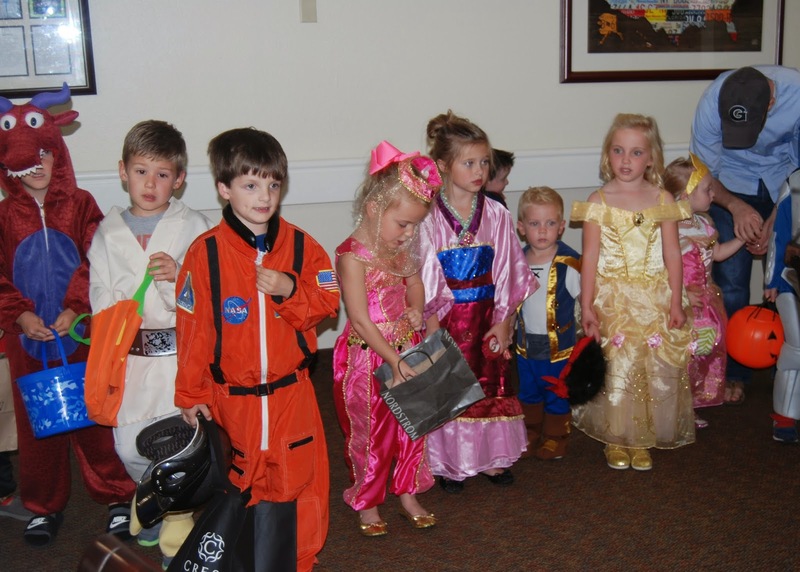 I know those sweet folks adored seeing all the littles in their costumes. Happy Halloween week! I totally forgot to pick up that polish this weekend :( I will rock that color year round, so I need to just get it already! I saw those flannel sheets too and almost picked them up. Now I am rethinking my decision. And you know I love to see photos of GG! 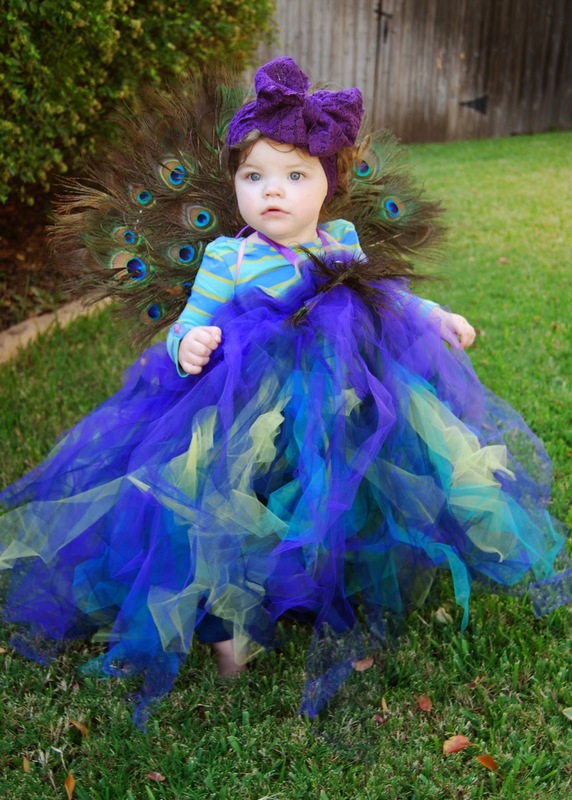 That peacock costume is beautiful! 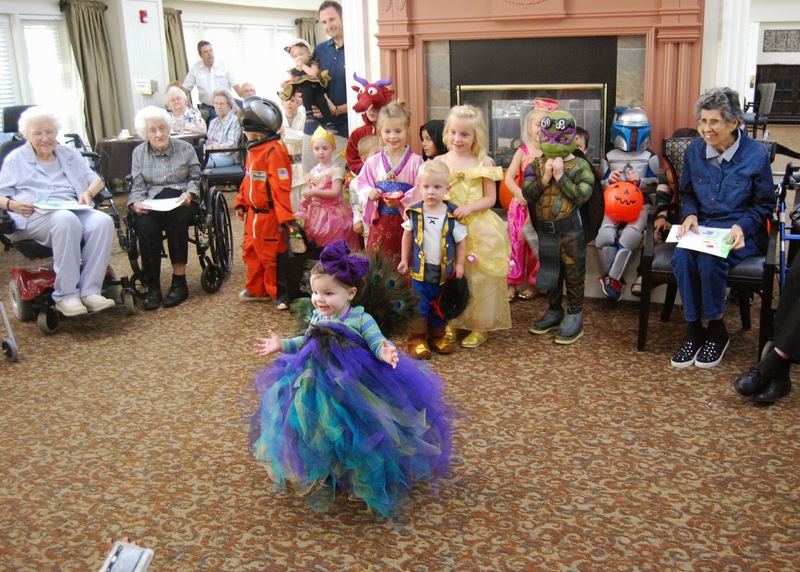 All the kiddos look great! 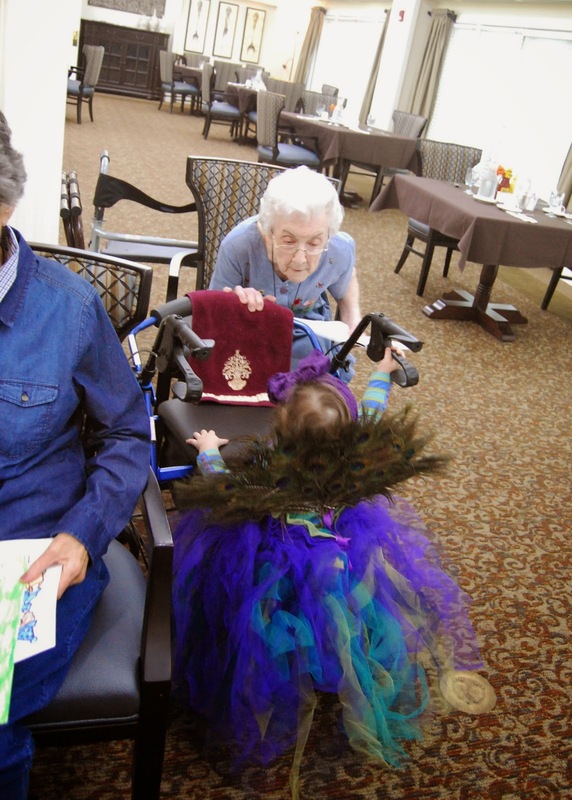 What a wonderful thing to do for the assisted living center! It all looks like a great weekend! 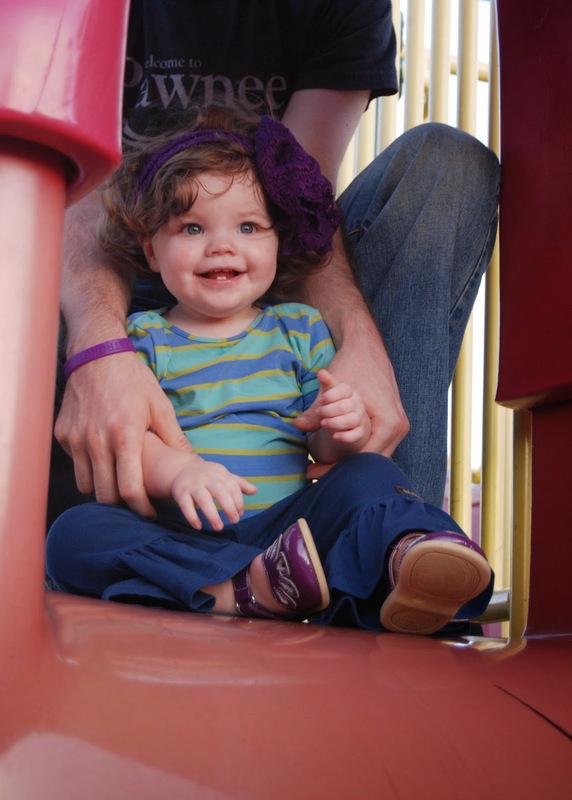 What stroller clips are you using to hold up your Nena & Co. bag? Thanks. Love the orange sparkly polish!! 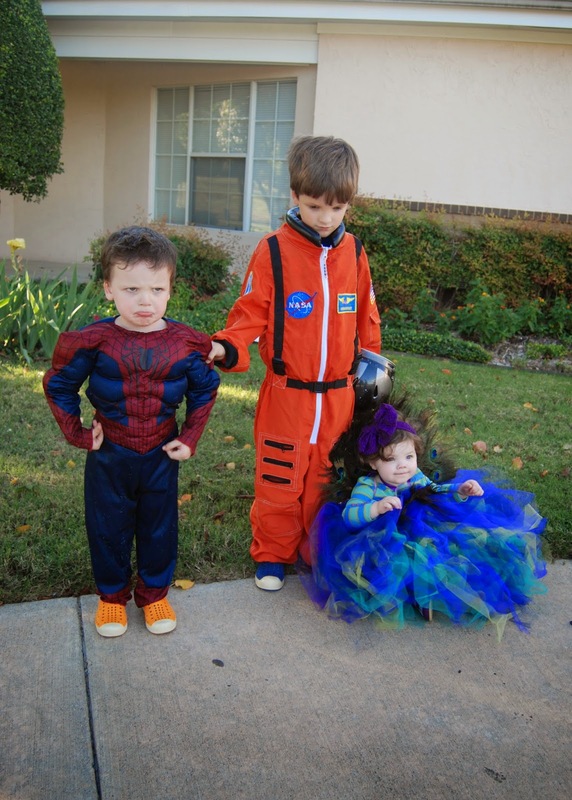 Griffin has the coolest Halloween/fall outfits--wow! Thanks, girly! 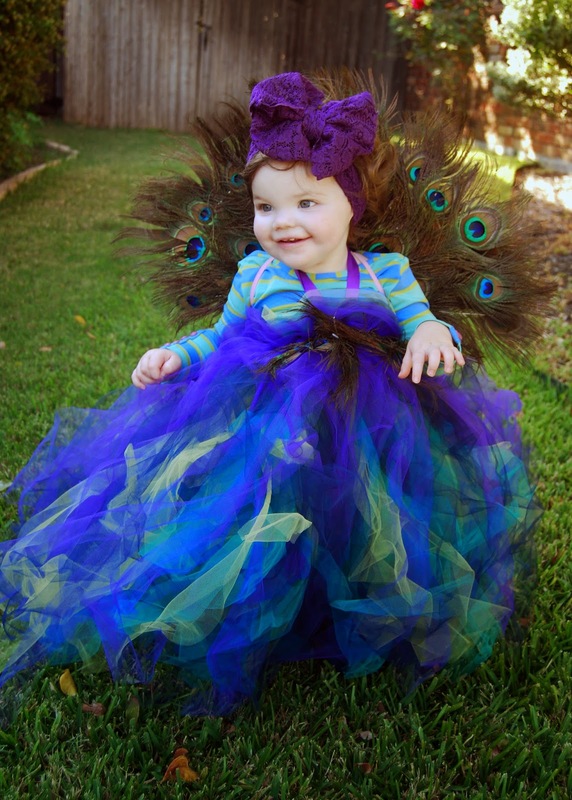 I'm having WAY too much fun with dressing her for a theme - taking advantage while she's still little! That peacock outfit is TO DIE!! That church outfit on GG is SO cute! I die. I love her in big headbands too, it just isn't a picture of GG without one! That peacock costume is amazing! I can't believe she didn't mess with it at all. Your kids are just too cute. Girl... GG is killing it in those pictures! What a sweet and spirited little girl. 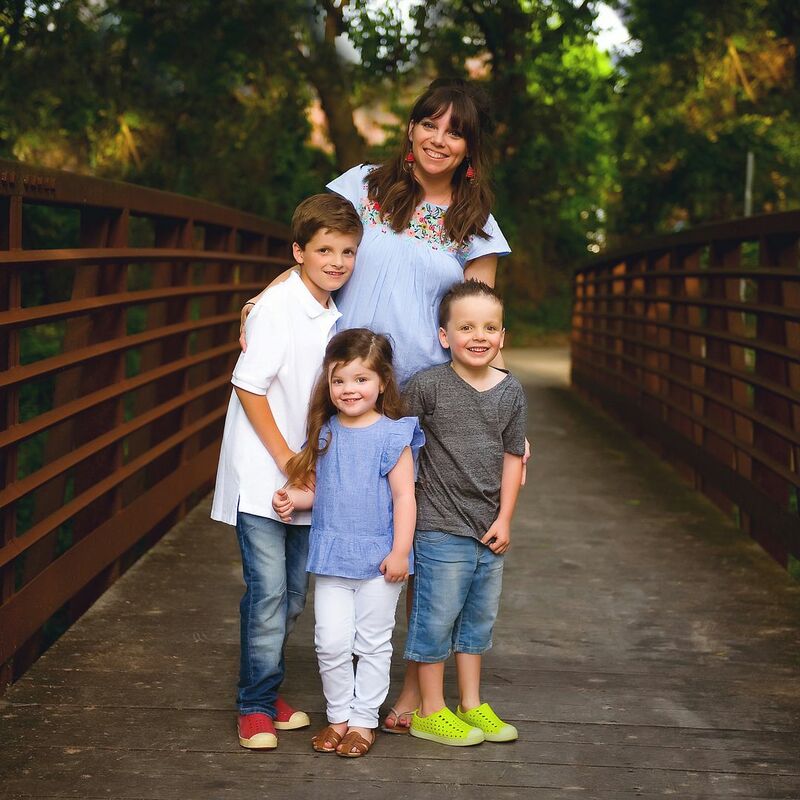 God bless your sweet family!